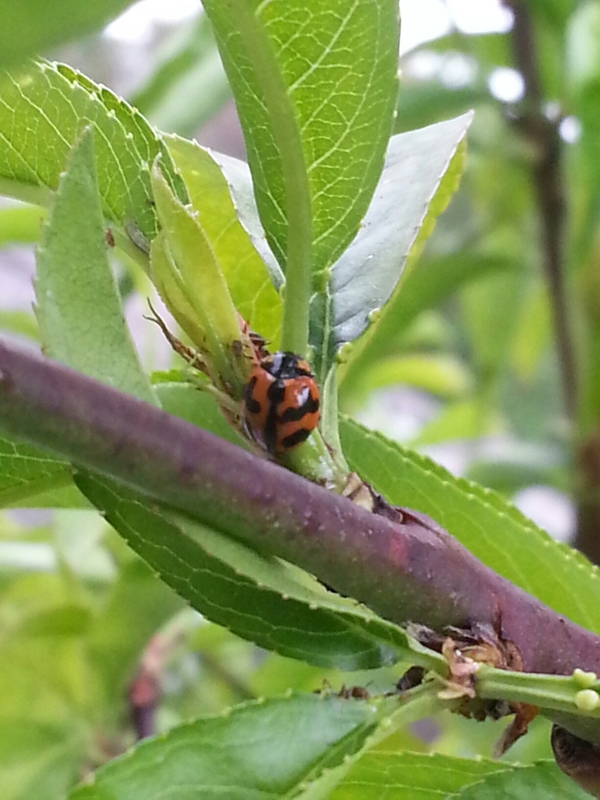 The Ladybirds in the Nectarine have been breeding! 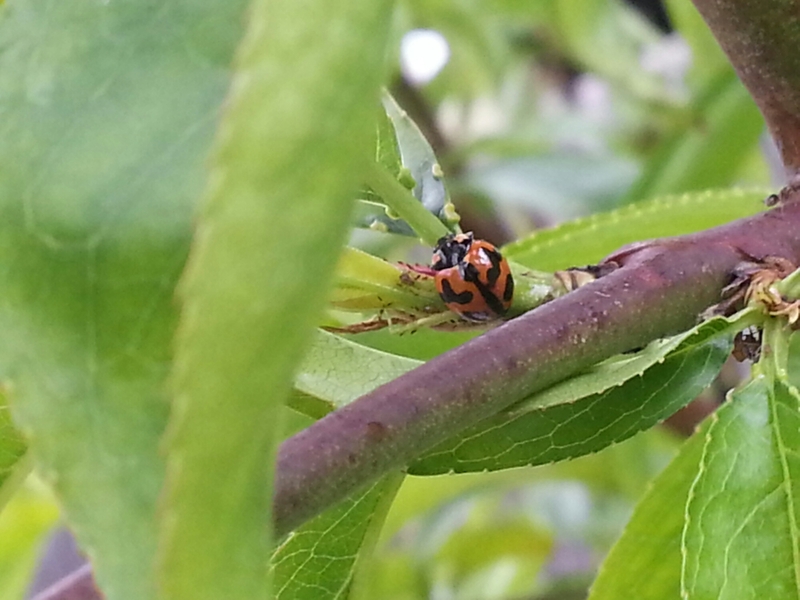 I spend time each day assessing the Aphid situation in the Nectarine tree, and the Ladybirds that will hopefully control them. Yesterday I noticed eggs had been laid! By this after I noticed a change in colour and when checked moments ago (wearing my stylish head torch lol) I could see that they were hatching! It looks like they are common spotted variety. 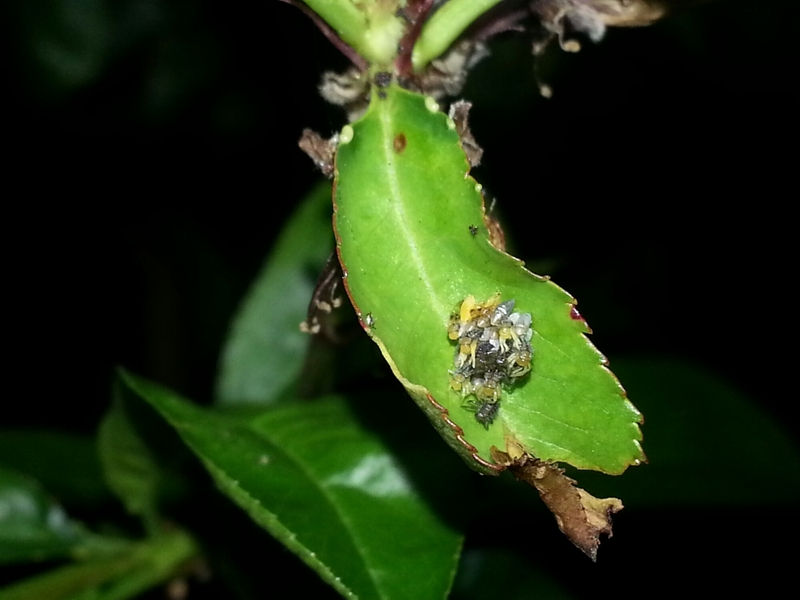 Its very hard to distinguish between the adults of the common spotted variety or the 28 spotted leaf eating pest! 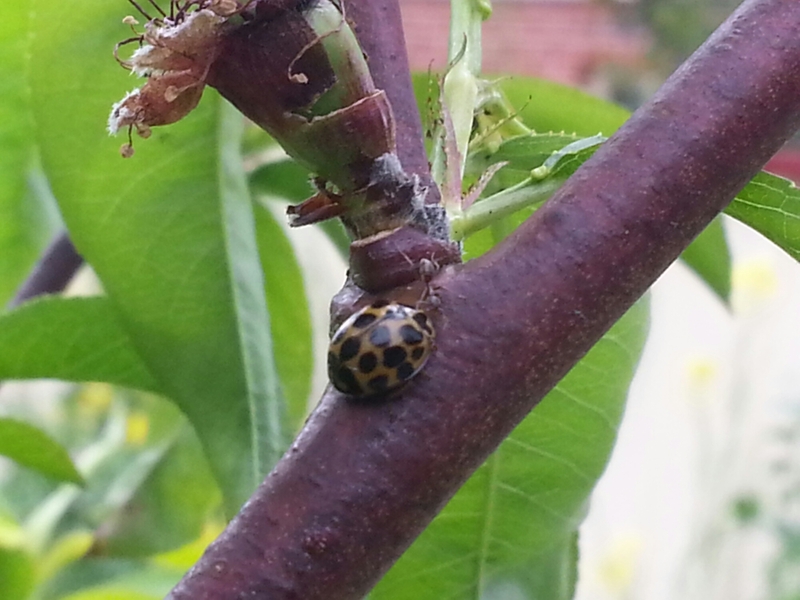 There are lady-bird larvae on every second branch…. all eating lots of aphids!